Whether a leaky pipe, a tree crashing through through roof in rainstorm, or a major fire you need professional help to put things right… right away. Restoration Masters Santa Clarita has specialists trained and certified in fire damage repair, flood damage removal, leak detection, mold remediation, pack out services, smoke and odor removal, storm damage repair, and water damage repair. Immediate action is necessary to prevent additional harm from water and smoke, so we’ll dispatch an expert with a fully equipped truck to arrive within the hour. 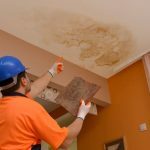 Regardless of the source, water damage becomes a health hazard due to bacteria, viruses, and mold within some 24 hours. Soon after that wood begins to warp and split, and sheetrock crumbles. Smoke and soot, as well as mold, also release a variety of harmful toxins. You need both fast response and technical excellence. That includes knowing what can indeed be saved, rather than simply throwing everything out including treasures of sentimental value. So you’ll want to hire only companies properly licensed and certified, with all the right equipment, and with demonstrated experience and results. And during such difficult times you’ll also want a company that provides excellent customer care as well as the experience that makes insurance claims proceed quickly and smoothly. We’re a Santa Clarita disaster cleanup and restoration leader, providing reliable full-service residential and commercial cleaning, repair, and restoration. Our technicians are certified and experience in the full spectrum of specialties required for proper flood and fire damage restoration, mold remediation, and more. We maintain a huge arsenal of state of the art equipment designed and built specifically for flood, fire, and mold disaster recovery. We also use non-toxic environmentally-friendly products and dispose of all wastes properly. Work directly with your insurer and bill them directly to make everything a lot easier for you. Whether big or small, sudden or slow, water is most definitely not harmless. Even a minor issue such as leaky plumbing or a tub, toilet, sink, or washer overflow can become a major problem. The issue is that wetness quickly penetrates deeply where it can remain hidden for weeks causing progressive damage to wood and just about any porous material. It also promotes mold growth, which can also remain completely hidden from view. Proper water damage restoration requires far more than using a wet-vac or carpet cleaner. Did you know that water wicks up inside walls, often a foot or more? 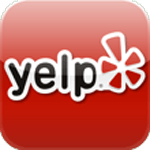 Without professional services you can find yourself with stains, unrecoverable carpet, warped wood floors, destroyed drywall, and more in a matter of a couple of days. Besides major storms, a building can be flooded by a broken pipe, burst water heater, ruptured appliance hoses, sewage backup, fire sprinkler failure, or as a result of fire fighting. Our flood restoration services are ready to handle it all. Our complete line of flood damage removal and restoration services includes the following. Starting from a thorough assessment we can take all the necessary steps to leave you with a safe and sanitary environment, with everything restored to prior condition. Fire damage repair involves much more than fixing physical damage to the building. Proper fire damage restoration also includes taking care of smoke and water issues before they can cause permanent harm. And restoration for furniture and possessions is also needed. So with even a small fire there’s a sometimes overwhelming number of things to do, and most of them require special expertise. Even cleaning soot is not simple “janitorial” cleaning — that can simply force soot, ash, and smoke compounds in deeper. Restoration Masters has certified technicians in all the needed specialist areas to clean, repair, and restore your buildings and belongings. If something isn’t actually charred, we can usually restore it to pre-loss condition. Smoke and odor removal is one of the most challenging aspects. Depending on the type of fire hundreds of different corrosive and toxic compounds are produced, and they can reach and penetrate just about anywhere. For building surfaces we can use dry-ice and soda-blasting equipment for char, smoke, and odor removal then follow up with ozone treatment to neutralize odors in inaccessible places. We’ll also apply our textile cleaning and other expertise to take care of possessions, including home electronics (yes, smoke can find its way in and corrode any exposed metal). Mold removal should be performed only by certified technicians. Why? First, when disturbed a blast of allergens and toxins are released, so that special worker protection is needed. Second, any disturbance also spreads spores (tiny invisible “seeds”) that can float on air and land anywhere in the building. Third, any remaining mold or spores can quickly begin growing again as soon as moisture is present. Our licensed and certified mold restoration specialists know exactly what it takes to protect themselves, isolate the work area, and complete absolutely thorough mold removal and non-toxic treatments to prevent regrowth. Besides damaged shingles and window caulk, plumbing problems can cause leaks that slowly but surely cause hidden water damage. Our leak detection experts, combining years of experience with the latest technology, can non-destructively pinpoint the location. Now days there’s absolutely no reason to put up with the delays and disruption. 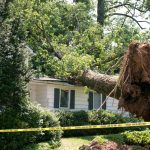 From debris cleanup to storm damage repair for wind and water damage, flooding, and downed trees we’re a single contractor that can take care of it all. After a thorough inspection we will start board ups to prevent further exposure of the interior. From there we’re ready for water damage mitigation. That could be simply pulling up, drying, relaying, and cleaning carpets to window and door replacement, all the way to major reconstruction of a roof or wall. Along the way we can take care of temporary and permanent roof repairs for wind damage. Santa Clarita is the third largest city in Leos Angeles County, with excellent fire and flood preparedness resources. http://santaclaritaguide.com/FireUpdates.html provides links to local news and government updates on wildfires. http://santaclaritaguide.com/12MosPrepareMay.html gives guidance on protecting your home and family against brushfires. http://readyforrain.santa-clarita.com/what-you-can-do/ provides guidelines to prepare for storms with heavy rain. http://santaclaritaguide.com/SoCalDisaster.html presents a great month-by-month plan that within a year leaves you well prepared for storms and flood, earthquakes, fires, and more. Besides natural disasters, it’s also critical that Santa Clarita residents take measures to prevent disasters originating in their own homes by making sure that fire alarms are working, keeping up-to date fire extinguishers handy, and practicing kitchen safety. Besides checking appliance hoses, a professional plumbing inspection is a good idea for older buildings.